Smart thermostat-maker Nest Labs has been developing a smoke detector that could go on sale as soon as later this year, we have learned from people close to the startup. Those possible features include a subscription monitoring service that would alert you if smoke or fire is detected. One person said the device could communicate with the Nest thermostat, giving it a longer battery life by eliminating the need for it to have its own battery-draining wi-fi chip. 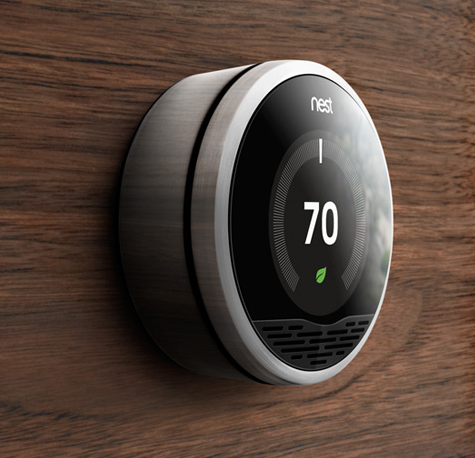 We also hear that Nest has discussed features like the ability to silence the alarm by waving a hand in front of it and the ability to detect carbon monoxide. Nest’s next product, which it is set to unveil soon, will be a smoke detector called Protect, according to sources. The Nest can be controlled from your iPhone or iPad, giving you complete control of the automated system no matter where you are in the world. How are you liking your Nest? Would you welcome a ‘smart’ smoke detector? What Does the Touch ID Hack Mean for the Average Consumer?